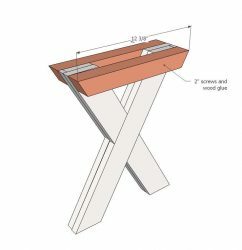 How to make an X-frame picnic table in a few simple steps. 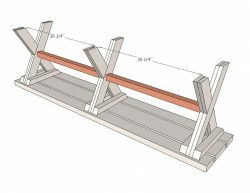 Easiest DIY designs for homemade picnictables and matching garden benches from scaffolding wood. 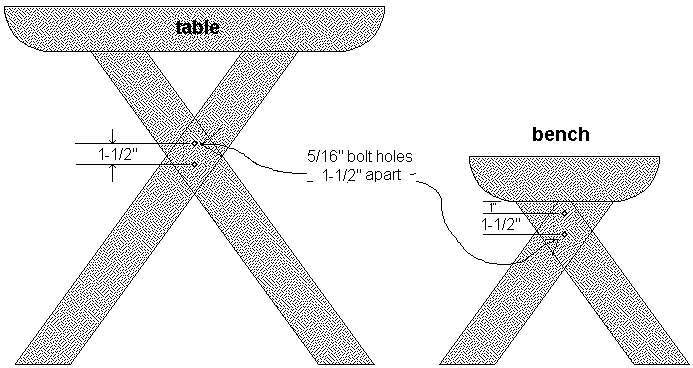 Free furniture plans » Home made tables, tabletops and table legs. » DIY examples to make picnic tables and benches. » Cross legged picnic table. 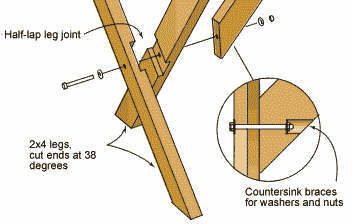 How to make a cross lap half joint. Tools that you will need are a saw, prefered electric and with a depth setting. Furthermore you need a sharp chisel and a wooden mallet. 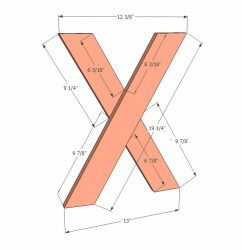 A good instruction for these picnic tables with X frame is illustrated with video on the site from Ana White. 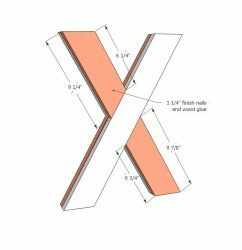 Another great site for woodworking examples is buildeasy. 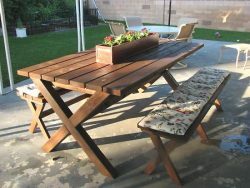 That is where we found this example for cross legged benches and excellent instructions for picnic tables. Making the crossed legs for a picnic table and wooden benches. Mark the place where the joint will be, use a pencil. Measure the thickness of your timber. Divide by two, this is the depth for your cuts in the wood. Make multiple cuts besides each other. 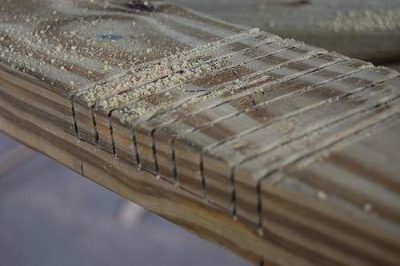 More cuts will make your chiseling a lot easier. 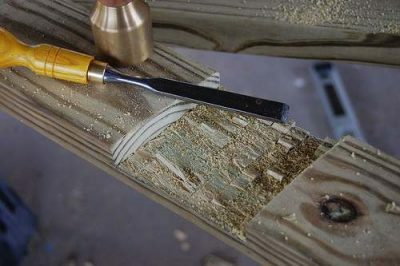 Now use your chisel to remove the surplus wood. Do not try to remove large chunks. You will notice that the progress is faster by removing blocks and wood chips in small sections. 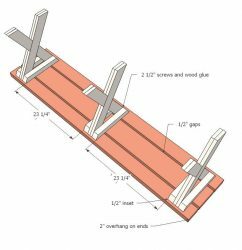 Step by step illustrations for assembly of a X leg picnic table with matching benches.